This isn't really a review, but is more some advice for newbies to card magic. Some of the best advice budding magicians will receive is to start by learning the fundamentals of card magic and card handling. It's good advice. But where do you start? Sure, you can head to youtube, and you will find some tutorials by a few skilled magicians. But these are typically the exception, and the majority of magic instruction you'll find on youtube is by teenagers with a mediocre ability in card handling. I suggest that you do not rely on learning from youtube, although it can be of some help. Instead, I strongly recommend that you consider investing in a good video by a good magician and teacher. You could consider a single DVD like Oz Pearlman's Born to Perform Card Magic, or one of the Ellusionist DVDs. They're decent if you want to take short cuts, but they are also quite limited in their scope. 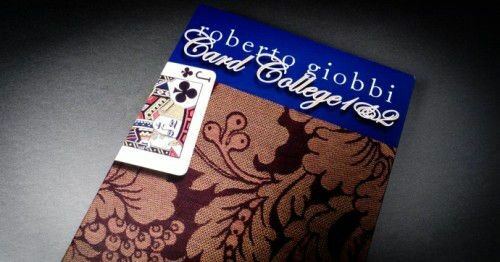 My recommendation is that you check out Roberto Giobbi's Card College 1 & 2 video course, which I've linked to below. Why? Firstly, it is fairly inexpensive considering the amazing content. 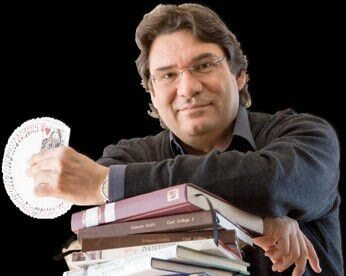 Secondly, Giobbi is an excellent and highly respected teacher, well known from his excellent Card College books; he has real insight into how magic works, and few are better at teaching than he is. Thirdly, you'll cover all the fundamentals in a systematic way. Fourthly, along the way he'll teach you tricks that put into practice the sleights you're learning. I'm currently working my way through this video course, and wish I had started my adventures into card magic with this many years ago! This video course was originally sold as a set of 4 DVDs of nearly 8 hours, but is now available as a digital download via his website. You can buy the 23 individual chapters/lessons for €4.95 each, or you can get excellent savings by purchasing all 23 lessons as a package for €49.95 - very good value given the amount and quality of the content. Subsequent lessons all teach techniques, as well as one or two tricks that use the card sleights that are taught. So besides the fundamentals of card magic, you also get to learn some solid material to perform with. I'm enjoying this video course immensely, and am super impressed with the quality. It's been enjoyable and helpful - even though I've been doing card magic as an amateur for a couple of decades. I only wish I'd come across it at the start of my journey into magic, so I figured I'd give it a plug, for others who are in that position, or who have dabbled with card magic and are looking to learn all the basics properly. It's also worth mentioning that in November, Giobbi will be releasing a follow up video course entitled "Card Magic Masterclass", which will be another 8 hours of footage (5 DVDs and/or digital downloads), covering all the techniques from Card College 3, 4 & 5. Highly recommended! And to beginners who are reading this: I wish you a wonderful journey into the exciting world of card magic! Fully agree with Ender’s opinion on this. It’s a great set. Interestingly, Paul Wilson took on video teaching The Royal Road to Card Magic around the same time. I found Giobbi’s books better than the Hubbard and Breue classic, but Wilson’s video instruction better than Giobbi’s. Nonetheless both are great and very worthwhile for newbies. Why a youboob channel? Why not a book for beginners like my THE MAGIC BOOK? I found Giobbi’s books better than the Hubbard and Breue classic, but Wilson’s video instruction better than Giobbi’s. Nonetheless both are great and very worthwhile for newbies. He did have the material in books first, Harry. Books, DVD's, e-books, streaming, different strokes for different folks. For the most part these days it seems to be a different market for each, so he has gradually moved through all the markets. New ways to sell the same stuff. For tech savvy dealers streaming seems ideal because there is no stock to carry. Downside is, it's probably quicker and easier to rip off. Personally I prefer the physical product, book or DVD. If you lose the computer for whatever reason you still have the product. Agree about "The Magic Book," in fact I'd rather have a book any day. But I thought this Giobbi stuff was all downloads. Have I read it wrong? Well it ain't obvious to me. Does Olive know about Hazel? "Does Olive know about Hazel?" ...dunno. I will ask Hugard. I also appreciate the value of books, and this is after all a video series that covers material that was first published in Giobbi's monumental Card College books. One advantage of a video for learning sleights in particular is that you can see exactly how it works. Especially if you are stuck with learning a particular sleight, or want some professional tips in improving it, watching a video can be helpful. All of the lessons from Giobbi's course are available separately for €4.95, and given that they cover different topics, these separate lessons might be a good option for someone looking to get some professional tips in mastering more technically demanding sleights like the Top Change, Classic Force, or Palm, all which need to be performed smoothly and cleanly. The above link will take you to a page where these are available separately, but here's an overview of all the individual topics covered in the 23 lessons: 1. Fundamental Techniques; 2. Overhand Shuffle; 3. False Cuts; 4. Card Controls; 5. The Force 1; 6. Riffle Shuffle; 7. The Transfer Cut; 8. The Glide; 9. The Glimpse; 10. The Key Card; 11. The Double Lift; 12. Flourishes; 13. Auxiliary Sleights; 14. The Hindu Shuffle; 15. Overhand Shuffle 2; 16. The Force 2; 17. The Palm; 18. The Spread Cull; 19. False Counts & Displays; 20. The Top Change; 21. The Crimp; 22. The Reverse; 23. False Cuts 2. I'm also looking forward to the follow-up "Card Magic Masterclass" video course which covers all the techniques from Card College 3, 4 & 5 and is planned for release this month. If it's as good as the Card College 1 & 2 video course, I'm sure it will be excellent!